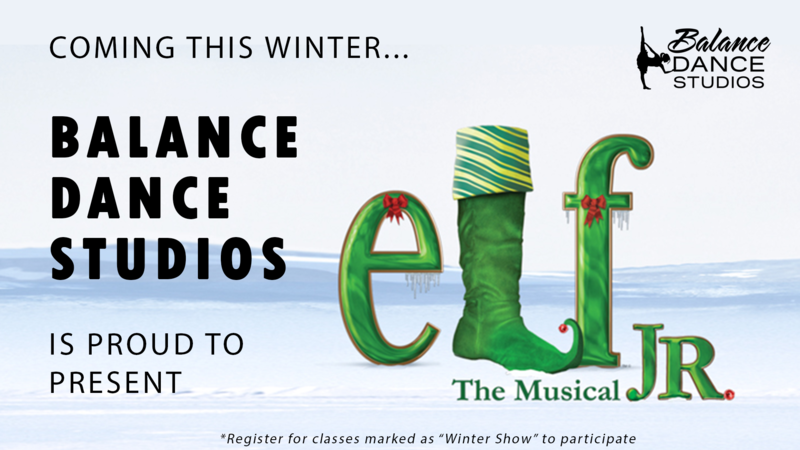 Tickets– Each dancer participating in the winter show will receive four complimentary tickets (6 tickets for families with more than 1 dancer participating) for the performance. Additional tickets will be available for purchase online or at the door for $12. Can you help by being a backstage parent for the Winter Show? We would need you to commit to dress rehearsal on 12/6 and show day 12/8. Please email dd@balancedancestudios.com if you can help!